Johnson also filed his retirement papers with the NFL today in advance of the new League year which begins at 4 p.m. ET Wednesday, March 9. Let me begin by apologizing for making this announcement via a statement and not in person. While I truly respect the significance of this, those who know me best will understand and not be surprised that I choose not to have a press conference for this announcement. After much prayer, thought and discussion with loved ones, I have made the difficult decision to retire from the Lions and pro football. I have played my last game of football. Let me assure you that this was not an easy or hasty decision. As I stated, I, along with those closest to me, have put a lot of time, deliberation and prayer into this decision and I truly am at peace with it. I also want you to know that I have the utmost respect and admiration for the game of football. It has provided so much for me and my family and I will be forever grateful to the game. Johnson, 30, hinted in January the decision could be coming. He and the Lions issued a joint statement saying the franchise face was "evaluating" his future, which surprised many around the league. A Pro Bowler each of the last six seasons, Johnson was still considered among the best wide receivers in football. He made 88 receptions for 1,214 yards and nine touchdowns in 2015, good for his seventh 1,000-yard campaign in nine seasons. 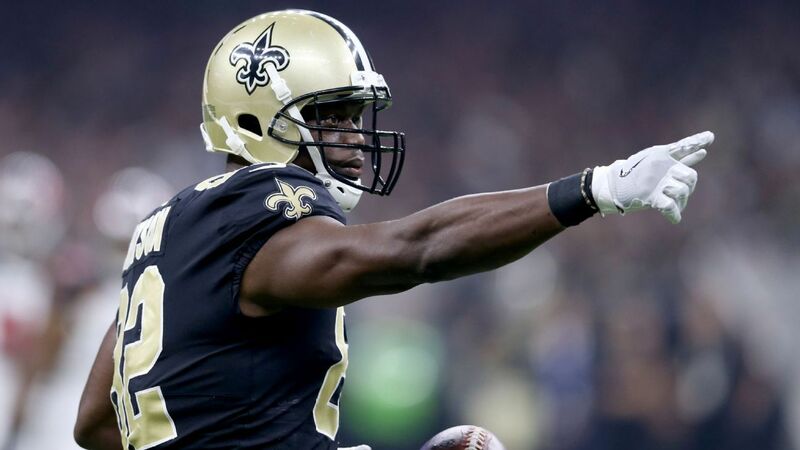 Pro Football Focus ranked him fifth among receivers, behind only the Pittsburgh Steelers' Antonio Brown, Atlanta Falcons' Julio Jones, Arizona Cardinals' Larry Fitzgerald and Houston Texans' DeAndre Hopkins. But despite Johnson playing in all 16 games for the first time since 2012, it was clear injuries were taking their toll. An ankle setback kept him on the sidelines during practice for nearly the entire 2015 season, and he's dealt with myriad other ailments throughout his career. "There has been some conversations about it, not asking me how it is," a former teammate told Dave Birkett of the Detroit Free Press in January. "But I think the guy's beat up. I think he's been through enough. And I think it's just his time. He's made the money, got the records, but whatever. I don't know for sure if he's going to do it. I don't know if he's going to get that itch to keep going. I really don't know." Johnson finishes his career with 731 receptions for 11,619 yards and 83 touchdowns. He's in the top 50 all time in each of those categories, despite playing only nine seasons, and was a mortal lock to wind up in the top 10 had he continued playing. Calvin Johnson should be named NFL Catch Czar. If he says something's a catch, it's a catch. If all-time greatness weren't enough, Johnson also had massive financial incentive to continue his career. He had four years remaining on his contract with the Lions, which included base salaries totaling $67.7 million. While those numbers weren't guaranteed, his cap number was so high that Detroit almost certainly would have had to restructure his deal either this or next season. Those cap charges then could have been converted into guaranteed bonuses, making Johnson an awfully rich man. In fact, on Friday, it was reported Johnson returned $320,000 in bonuses to the team prior to retiring, according to Dave Birkett of the Detroit Free Press. Because of the franchise involved, it's impossible not to draw a direct parallel to Barry Sanders. The all-time great running back, like Johnson, walked away in the midst of his prime. Sanders' retirement was rooted as much in his frustration with the Lions as his body breaking down but was nonetheless equally shocking. Sanders stood a chance to break a number of all-time records had he kept playing and was in the middle of a massive contract. Now the Lions' most talented player since Sanders has stepped away early too. At this point one has to wonder if the franchise's constant futility is driving a wedge between itself and players. Golden Tate would presumably become Matthew Stafford's No. 1 option at wide receiver, though the Lions will likely target someone in the draft or free agency to replace Johnson long-term.